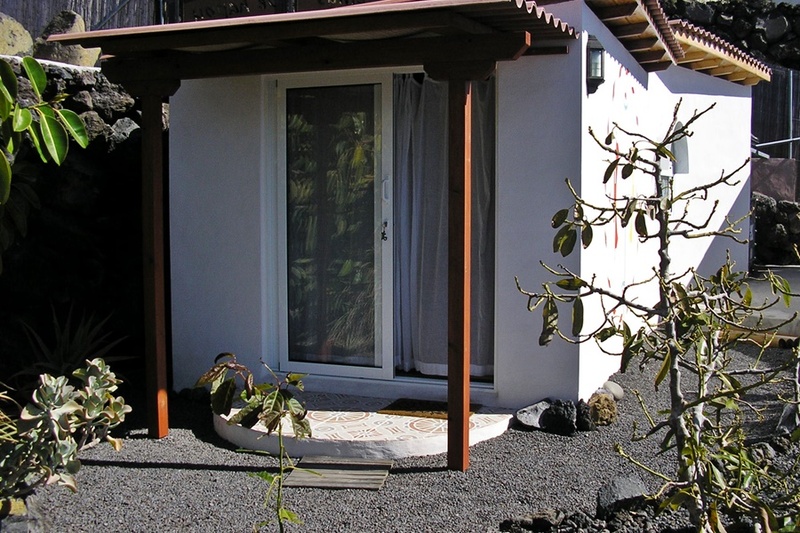 Just above Puerto Naos lies the cozy cottage Mivida, suitable for 2-3 people. 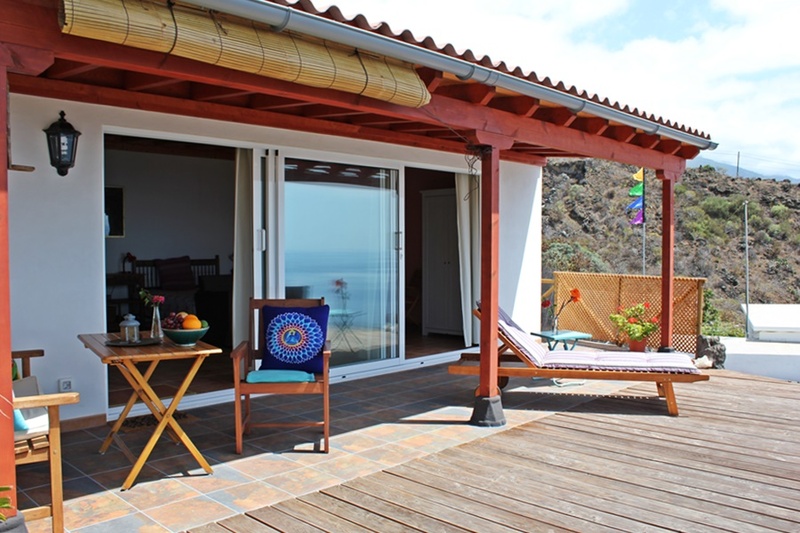 Studio Mivida is located at an altitude of 170 and has a fantastic panoramic view over Puerto Naos and the Atlantic Ocean. 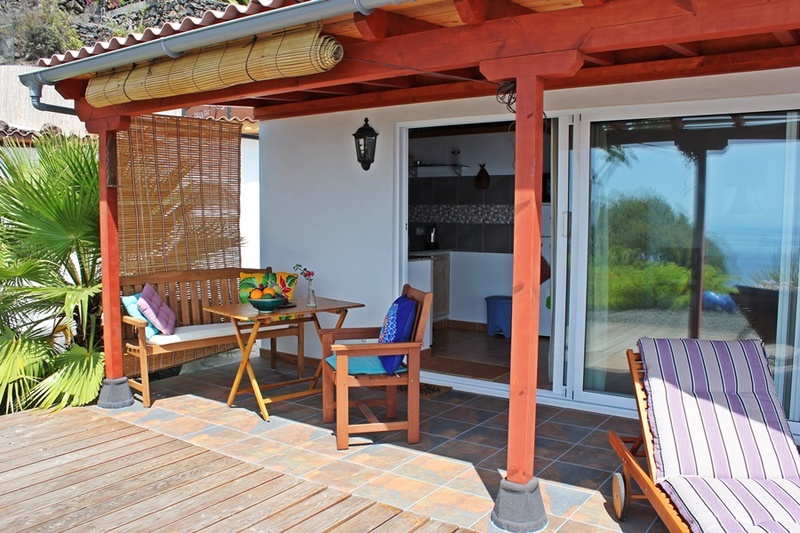 Studio Mivida is a lovely small holiday home of about 45 m² with an open plan kitchen living / bedroom (mattress 160×200) and a separate bathroom with shower, toilet and washing machine. 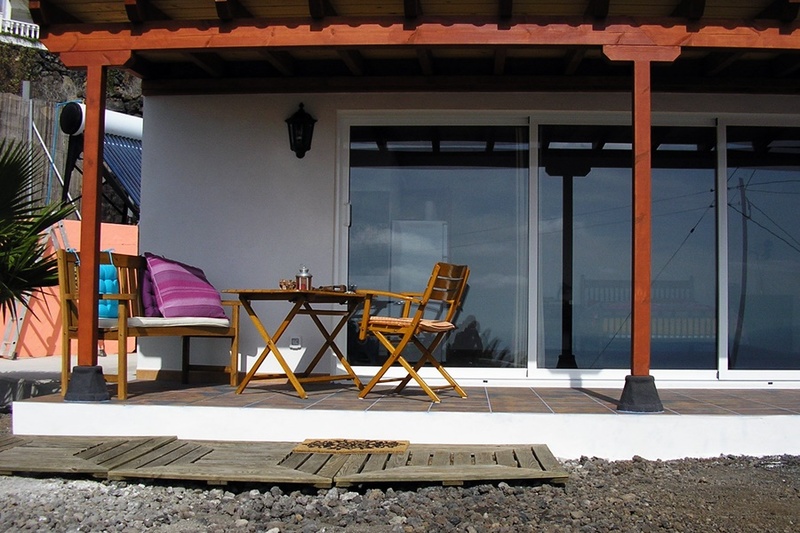 In front of the house is a lovely terrace of 25 m² with loungers and table and chairs. 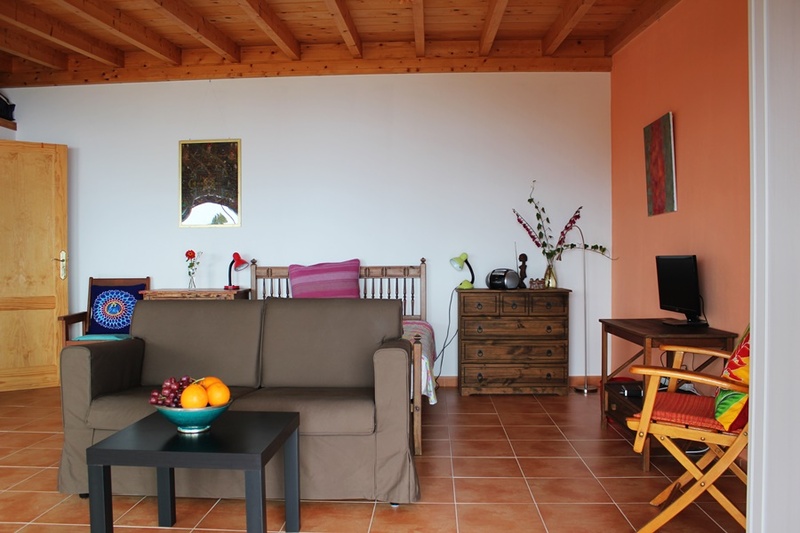 Studio Mivida is equipped with satellite TV (mainly German) and internet. 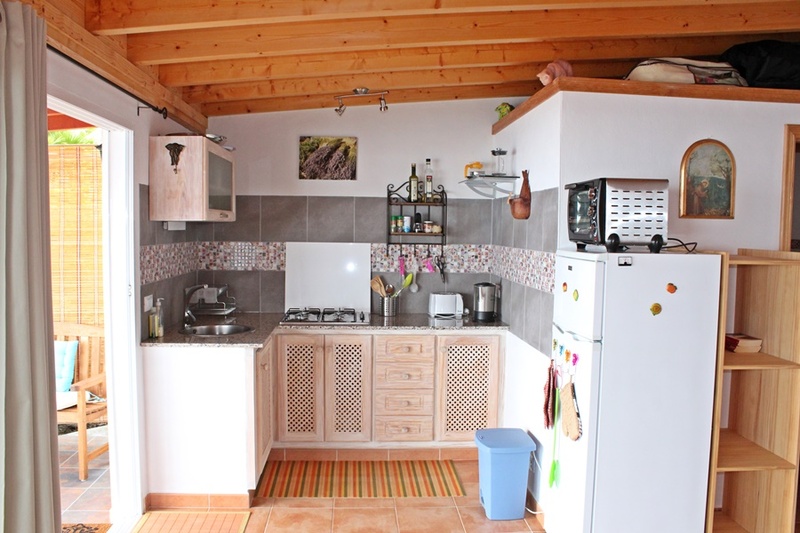 For a third adult, there is a separate cottage with one bedroom with en suite. 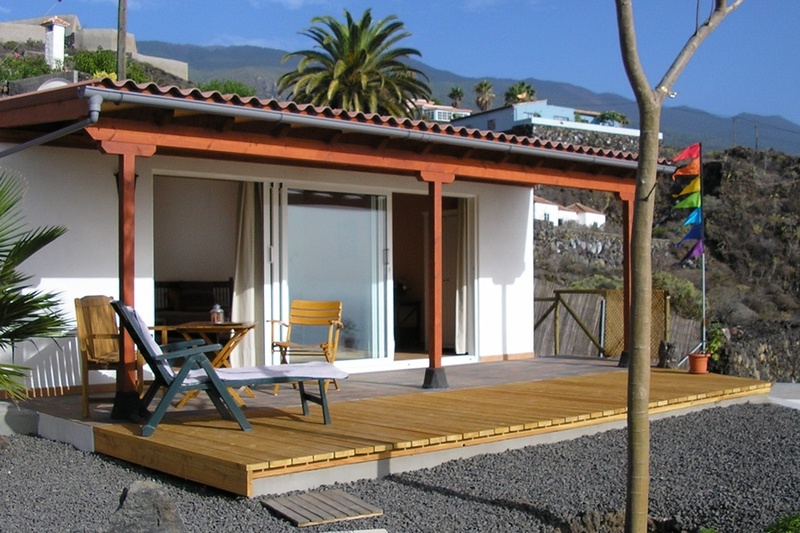 This can be rented for € 15, – per day extra. 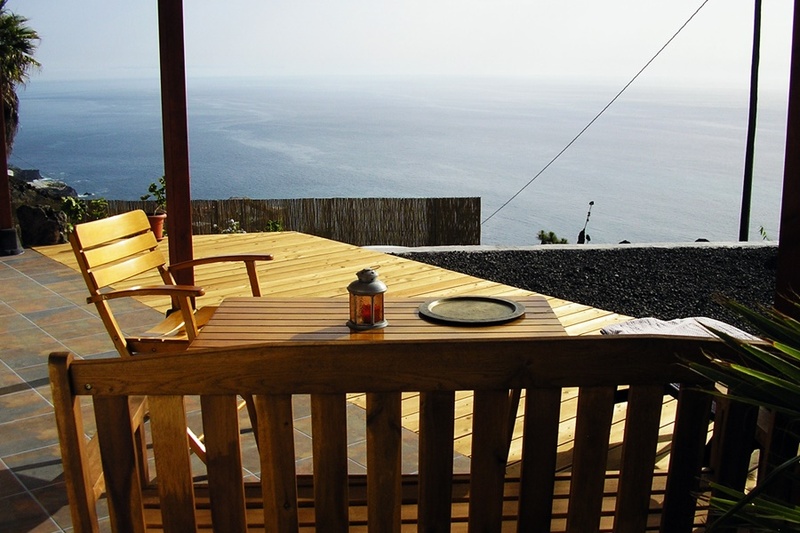 Enjoy, thanks to the large sliding glass doors, a beautiful panoramic view over the Atlantic. 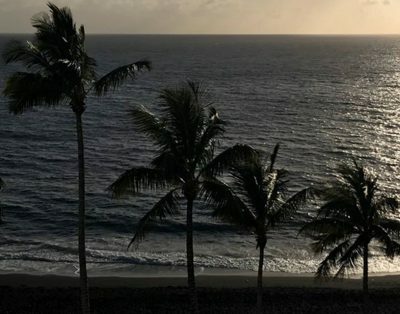 A car is essential in this house and the road to the cottage is quite steep, so we recommend taking a car that has something more horsepower. 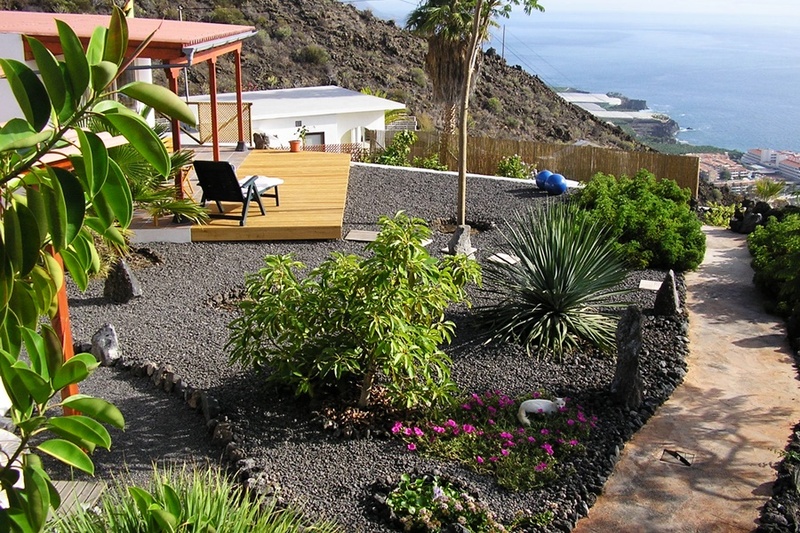 There should be very little to no smoking on the entire property! 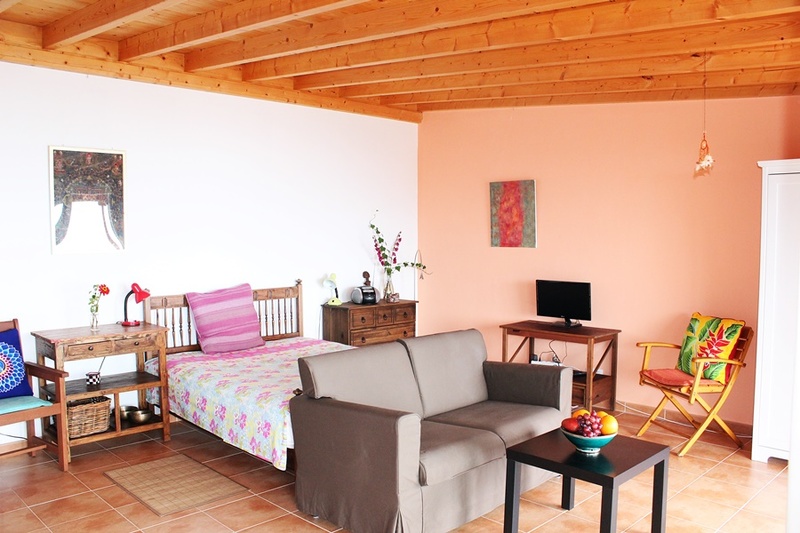 Studio Mivida is not suitable for children under the age of 12. 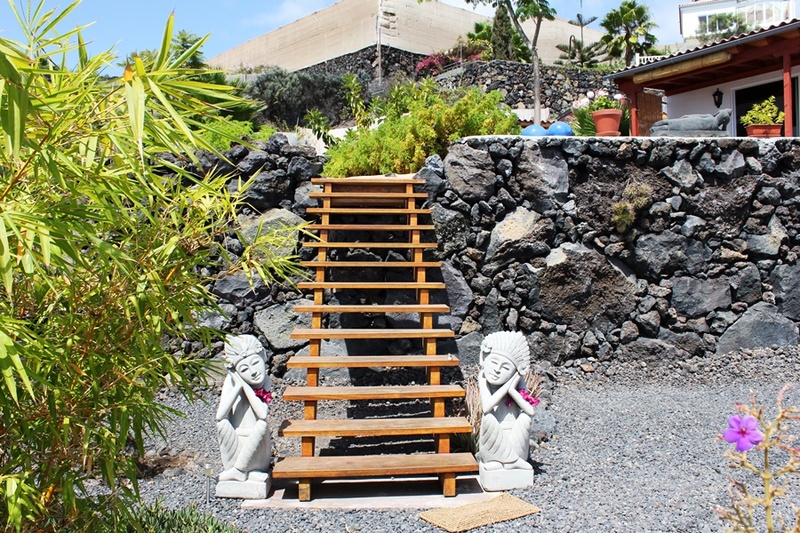 Puerto Naos is a few minutes’ drive from studio Mivida . 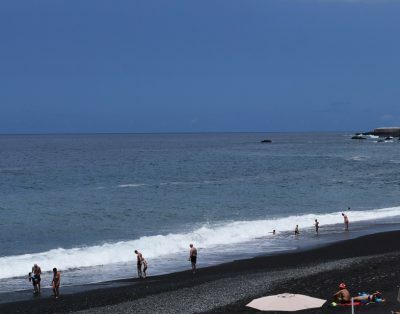 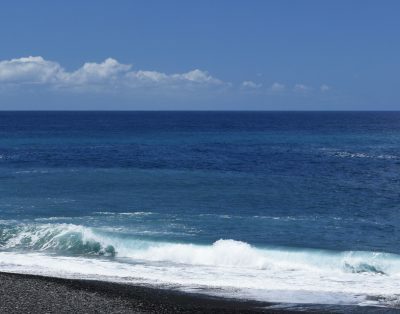 Here you will find a beautiful black beach, several restaurants, bars and the nearest supermarket, also open until 13:00 on Sundays.